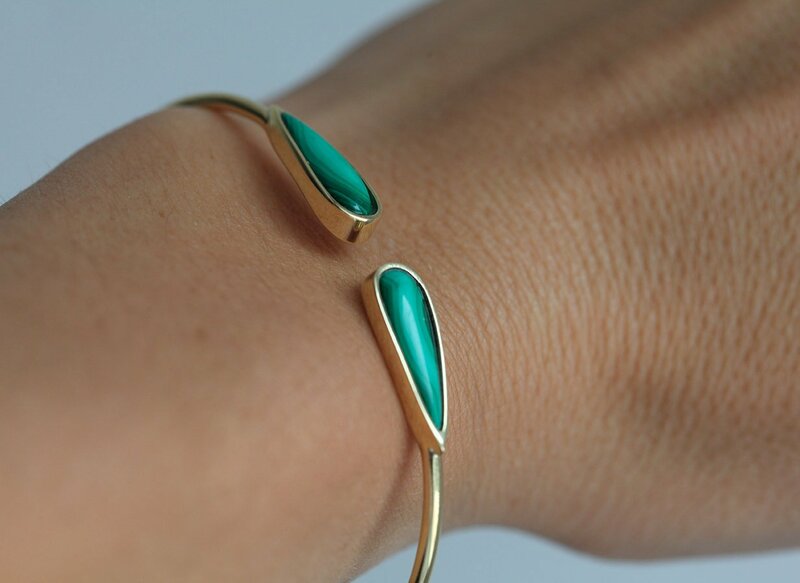 This listing is for the stunning malachite bangle. 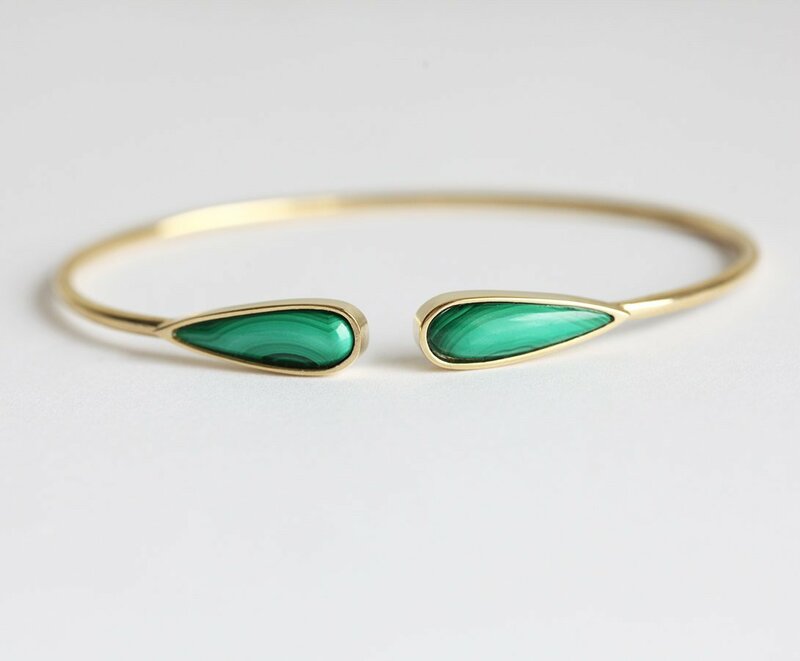 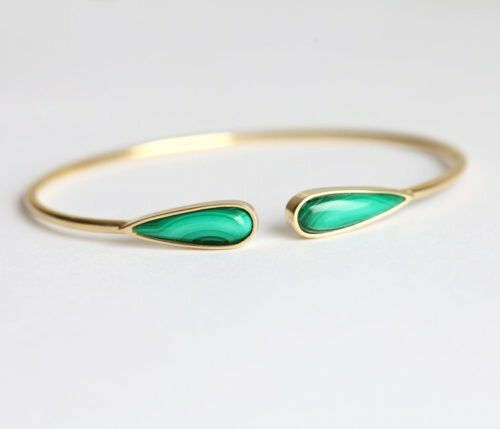 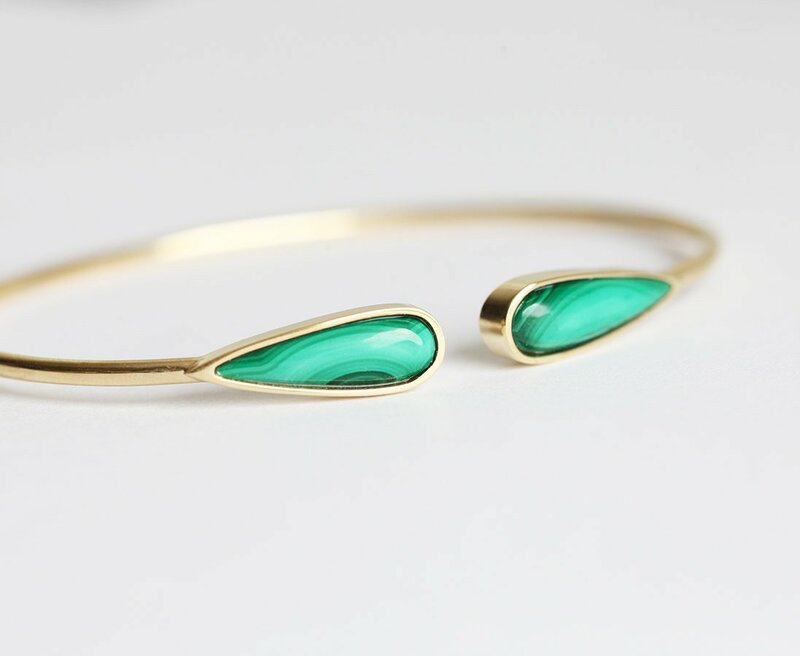 This cuff bracelet is made of 14k gold, featuring pear-shaped malachite gemstones on each end. 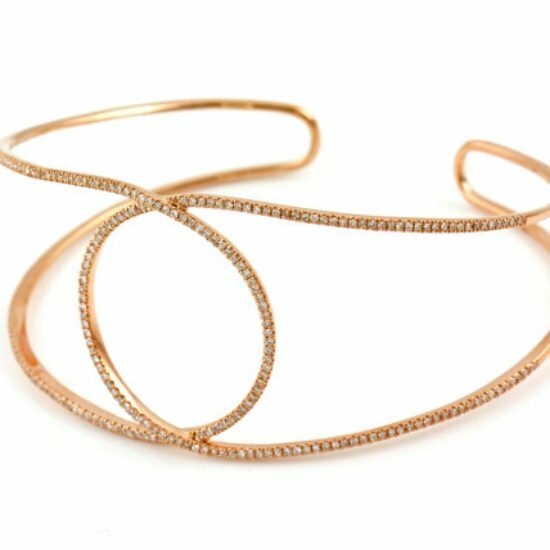 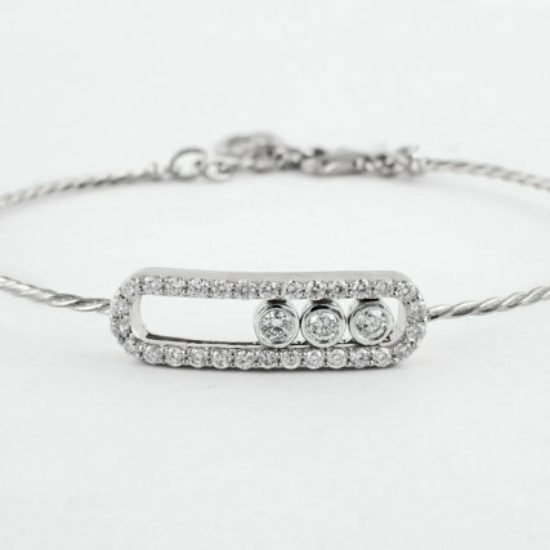 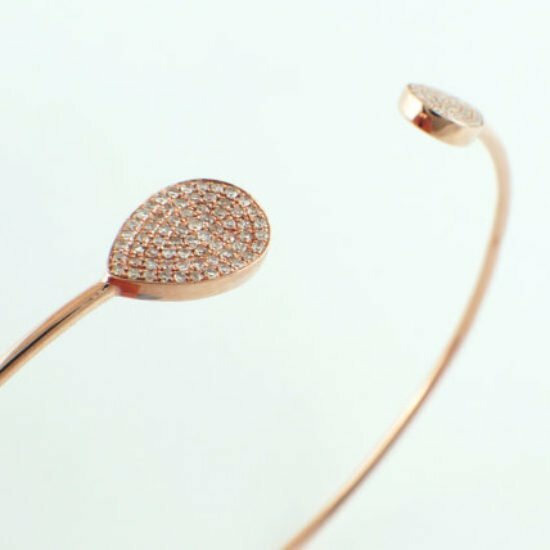 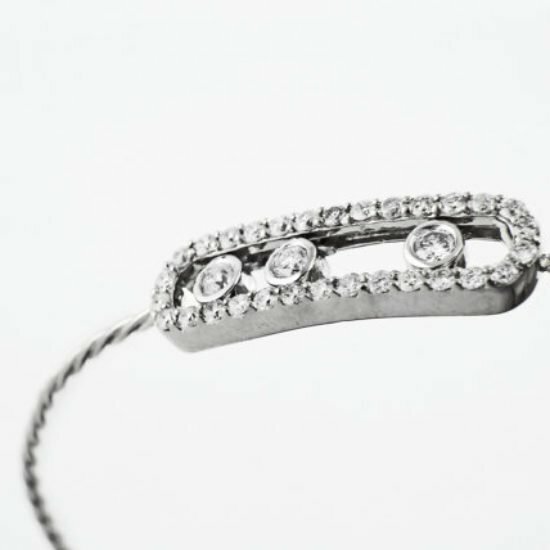 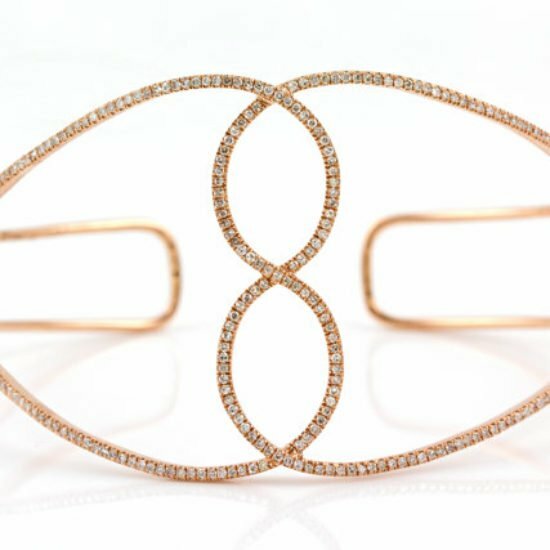 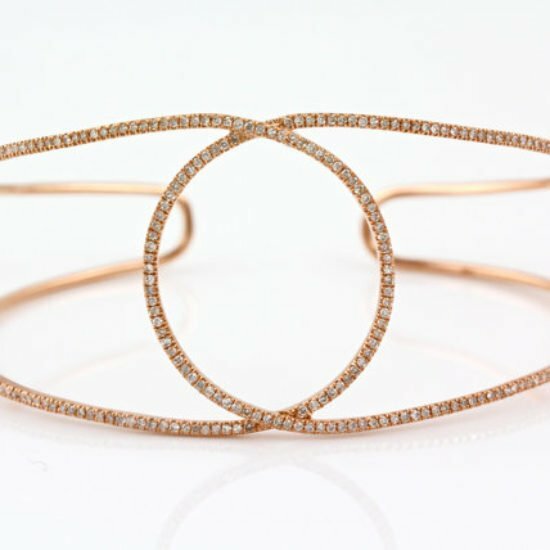 The perfect bracelet for layering or also as a single piece. 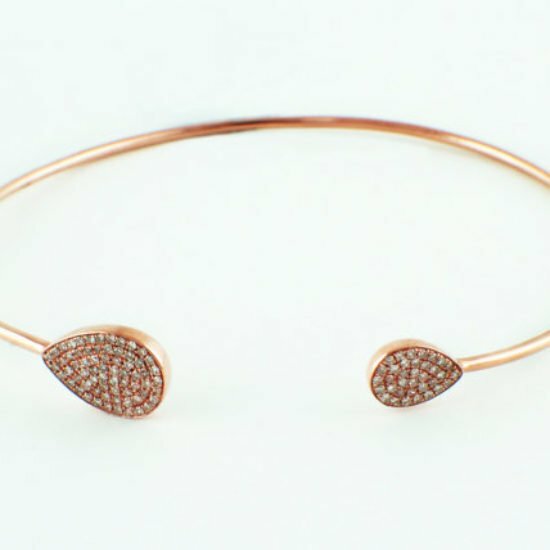 * If you would like to have this bracelet with different stones, please contact us before purchase.